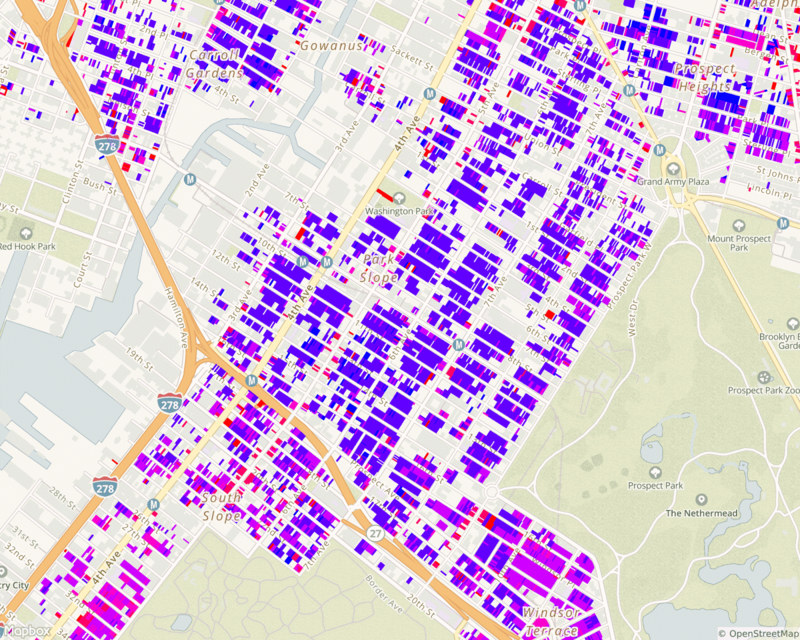 If you have a one to three family home in New York City, see http://bit.ly/nyctaxequity to compare your property tax bill compared to everyone else. 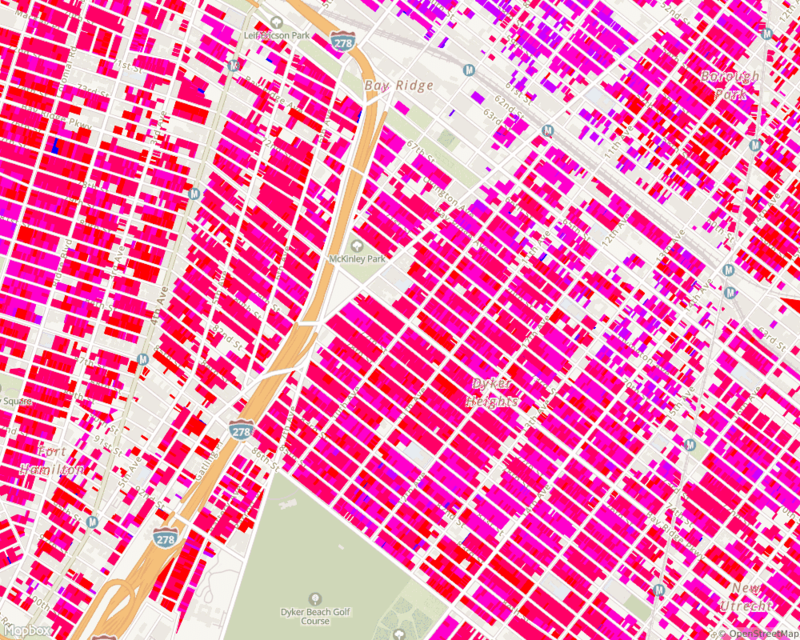 This is a map of the relative property tax assessment for 1 to 3 family homes in NYC. Red = High (e.g.,4 to 6 percent). This is a number that NYC Department of Finance assigns to your property in order to tax you. 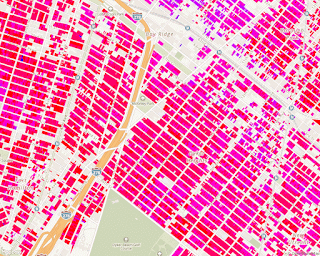 This is the amount that NYC Department of Finance believes your house will sell for approximately. 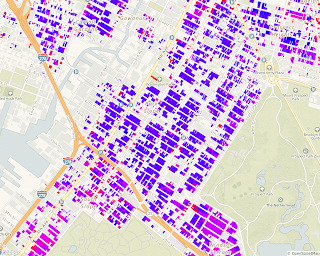 This is your assessed value divided by your market value.